Apple’s new flagship, iPhone Xs, is an awesome phone. If you’re thinking about upgrading from last year’s iPhone X, we think you’ll be happy with your choice. If you still need some convincing, here’s a closer look at how the two compare. There’s only one place to start – that amazing iPhone camera. We all love taking photos on our phones, and iPhone X has one of the best phone cameras around. The camera on iPhone Xs, however, is even better. Its pixels are bigger, so they let in more light for better night-time shots. It also features an all-new bokeh slider, allowing you to manually adjust the professional-looking background blur on your photos. Smart HDR is an exciting new piece of camera tech on iPhone Xs. It combines the best parts of multiple photographs into a single image, and by doing this captures better shadows and bright highlights. The front-facing camera on iPhone Xs has also had a major update. It has a much faster sensor than the one on iPhone X, and Apple says it takes higher-quality selfies (hurrah). The 5.8-inch OLED display on iPhone Xs is exactly the same size and resolution (1125 x 2436 pixel) as iPhone X. But because the new iPhone Xs comes with HDR 10 support and Dolby Vision, you’ll notice a real improvement. 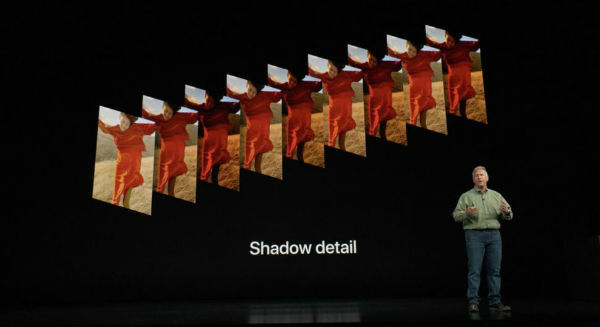 Apple says the iPhone Xs will deliver 60% greater dynamic range when you’re watching HDR content, giving you better contrast and brightness levels. iPhone X has great speakers capable of pumping out sound at loud volumes with no loss of clarity. iPhone Xs gives you more - a 25% increase in speaker volume and stereo support. Apple says the iPhone Xs speakers will deliver audibly clear left and right channels. 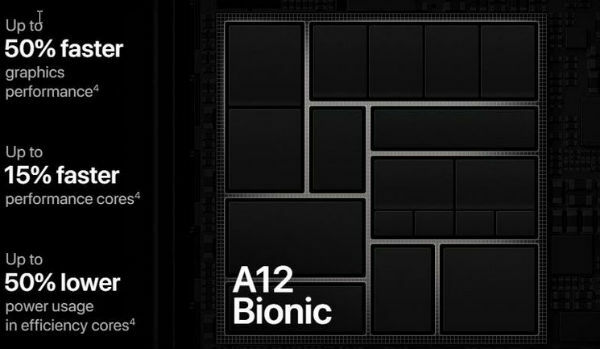 There’s an all-new A12 Bionic chip inside the iPhone Xs, and it really delivers. It’s 50% more powerful than the A11 Bionic chip in the iPhone, and 40% more power efficient. From loading apps to general navigation around your iPhone Xs, it makes everything quicker. Further reading: What makes Apple’s A12 Bionic chip so great? With an improved IP68 rating, iPhone Xs is more water and dust-resistant than iPhone X. It can now handle being submerged in up to two metres of water for 30 minutes, although that’s not something we’d ever recommend (Apple doesn’t cover any kind of water damage to its iPhones). The iPhone Xs is more responsive than iPhone X, thanks to a new feature known as ‘120Hz touch sensing’. That’s basically the speed that the phone reacts to the touch, and it’s twice as quick as iPhone X. So, have you made up your mind? If you’d like to buy the incredible new iPhone Xs, you can order it from Carphone Warehouse here. If you’ve got an iPhone related question, post it below and we’ll do our best to answer it.